The main purpose of a pool heater is to heat the pool, especially in the critical first and last months of the pool heating season. Did you know that as much as 70% of the pool heating load occurs during the first and last month of the pool season when evening/overnight air temperatures often drop below 50°? 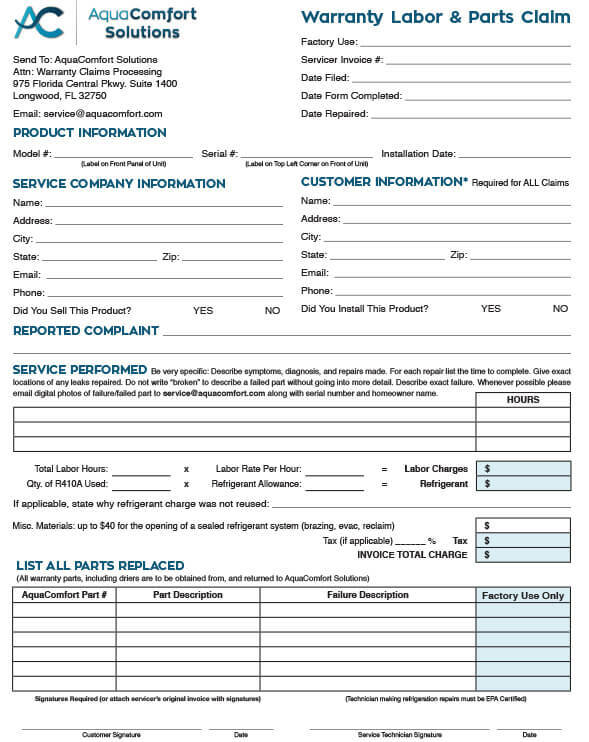 A BTU rating at three Florida test points (chosen for the Florida Building Code) is not indicative of how the heater will perform over a full range of operating conditions (real-life pool heating) and therefore it does not convey to the consumer or the pool dealer a true comparative measure. Keep in mind that these Florida test points are rarely if ever seen outside of South Florida. It does not tell you how effectively a pool heater will heat a pool during the first and last month of your pool heating season. All heat pumps rated at 110,000 BTUs at 80° air temp, 80° water temp and 80% humidity are not created equal and do not perform equally. 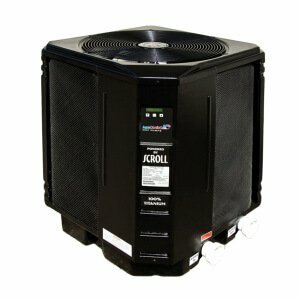 In fact, their performance, throughout the full range of operating conditions, may vary by as much as 20-40% and more. 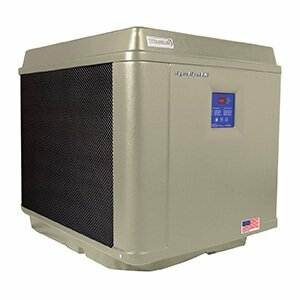 AquaComfort Solutions believe it is imperative that our pool heaters work effectively down to 40°. This unique design philosophy allows AquaComfort pool heaters to operate under a full range of conditions. The net effect is more heat input into the pool during the critical first and last 30 days of the pool season. The AquaComfort design criteria help ensure our customers get the best-performing heat pump on the market in real life pool heating conditions. AquaComfort is clearly the choice when overall performance is the criteria, not test points chosen for the Florida Building Code. You don’t purchase an automobile based only on their MPG ratings, why choose your pool heater that way? Optimizing performance in a test lab does not insure in field performance when the pool owner wants and needs it, only that they will get a certain performance at a point when they probably don’t need it. Since most heat pump manufacturers sell the vast majority of their pool heaters in south Florida they concentrate only on optimizing their performance at the Florida Building Code points. To optimize their performance some use heat exchangers that are not UL safety rated, not designed for in-floor cleaning systems and fail prematurely. They lose performance at flow rates other than the design points (many lose efficiency when paired with variable speed pumps), and they sacrifice quality for performance (our units are TUV certified for safety and quality manufacturing practices). 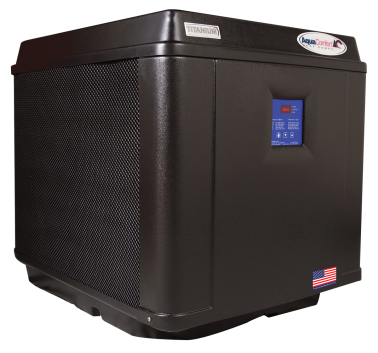 AquaComfort heat pumps achieve performance during the critical heating time by ensuring that our pool heaters operate at a full range of outside air temperatures, flow rate conditions, and through the use of quality components and superior engineering. When choosing a heat pump pool heater, do not be swayed by performance at test points where the conditions are rarely if ever encountered. 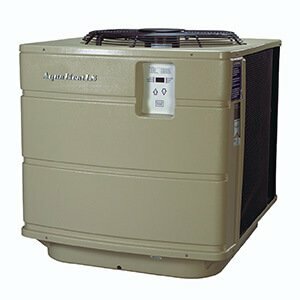 Consider how the heat pump you choose will operate in real life conditions. If you do, we are sure that AquaComfort will be the correct choice.